DOPDF is an application that installed as a printer driver in the system. DOPDF is for creating and converting PDF files and then make it sure that they can be print out through it. DOPDF also works as PDF printer and other best feature about DOPDF is that it driver automatically installed just after its major installation. 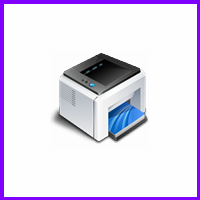 ReaSoft PDF Printer is a document creator and virtual printer installer for the Windows operating systems. ReaSoft PDF Printer is a virtual PDF printer, document reader, editor and creator that allow the users to all kind of function without going for Adobe Acrobat Reader. The best about ReaSoft PDF Printer is that it installs a virtual printer on the PC of the user and allows them to directly print. PrimoPDF is a universal PDF file creator and converter that work as a virtual printer as well. The best about PrimoPDF is that it can easily convert PDF files into MS Word files and vice versa. If you want to make your entire business structure into a paperless environment then PrimoPDF is the option for that. It can be simply used for creating PDF files, collaborating two different files. CutePDF is a simple but entirely powerful PDF files creator, converter, and virtual printer. CutePDF is a fully featured PDF writer, PDF converter, PED editor and PDF virtual printer. This software automatically makes it the default printer for the Mozilla Firefox browser. The best about this program is that without even caring for the settings of Windows operating systems it automatically get itself compatible with the almost all installed programs. Universal Document Converter is a virtual printer and PDF creator for Windows operating system that can be used for creating PDF documents and files in various graphic formats and can be used for converting that PDF files from any form of document that can be easily printed on this program. The main highlighted features of Universal Document Converter are that it can easily manage all formats. PDFlite is a PDF file processing and virtual printer that enables the Windows users in dealing with various functions related with PDF. This program can be even used for PDF conversion as well from one format to another one. In addition to simply using as the PDF viewer, there are dozens of other features and functions of the PDFlite that are regarding the operating as PDF printer, virtual printer too. Virtual PDF Printer is a PDF converter and virtual printer that will make you able to easily get the high-quality print of any PDF file and the other files as well. In addition to working as virtual printer, Virtual PDF Printer also works as the PDF converter as well. Virtual PDF Printer is the name of creating the high-quality work and getting the high-resolution prints. PDF24 is a free to use PDF creator, converter, and virtual printer. The other best about PDF24 is that free regular updates are also available in addition to fully free version. PDF24 is an easy to use and multilingual PDF files creator, editor, converter and virtual printer. PDF24 is based on the industry accepted principles of dealing with editing and printing of the PDF files. Bullzip PDF Printer is a free to use converter and PDF viewer for MS Windows OS. The best about Bullzip PDF Printer is that it work as a virtual printer in the users Windows and then enables them to print all type of files either it is PDF, JPEG, PNG, or other types of image and text files. It is one of the best ways to write any document from. Win2PDF is a powerful application for creating and converting PDF files and then making it sure that they can be print directly Win2PDF. Some advantages of Win2PDF are easy to sue, user-friendly interface, multi-platform supported and many other for complete control. It is available for the almost all versions of the Windows operating systems.